Former Arsenal and Manchester City striker Emmanuel Adebayor has revealed the role Arsene Wenger played in making the fans hate him. The Togolese forward moved from the Emirates to Etihad in 2009 as the big spenders lured top players from around Europe. 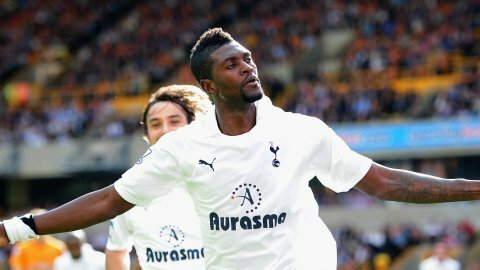 Adebayor moved to Manchester from north London for £25 million as City spent money to lure other EPL stars like Arsenal defender Kolo Toure and Manchester United striker Carlos Tevez. Adebayor said when the offer came in he was not keen on leaving Arsenal. He accused the longtime French manager of forcing him to take up the offer to move to Etihad. The player who now plays in Turkey, and has had a major impact on Istanbul Basaksehir fixtures & results, said Wenger threatened to never play him again if he did not take the bait and move to City. That move made the Arsenal fans turn on Adebayor and the player celebrated when he scored against the Gunners, pushing him name to the red zones as far as the fans were concerned. Reflecting back, Adebayor said Wenger had a huge role to play in making the fans turn on him. When the City offer came in, Adebayor started. “I was like ‘I’m going to stay.’ He was like ‘no there is not even a fight organized. We are not going to organize a fight for you. You move out or you stay here and don’t play any games.” he added. It seemed as if Wenger wanted the player out even before the City offer came in. Though the player is talented, he came with a lot of on and off the pitch troubles. However, he wanted to stay but Wenger wanted him out and made it seem like the player left for the money when the club was happy to let him go in the first place.